John Lesko has been a Project Manager at Axis Geospatial since July 2016. He joined Axis in March of 2014 as a Photogrammetrist-QA/QC Manager. 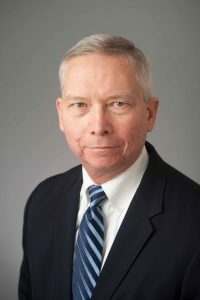 He began his career at the Defense Mapping Agency (now NGA) in Brookmont, MD in 1983 where he worked as a Cartographer in the Topographic Division. He spent 24 years with the Michael Baker Jr., Corporation in Beaver, PA where he held roles of increasing responsibility. John is an American Society for Photogrammetry and Remote Sensing (ASPRS) Certified Photogrammetrist, and holds a Professional Surveyor and Mapper License from the State of Florida, and a Surveyor Photogrammetrist License from the Commonwealth of Virginia. John earned a Project Management Professional (PMP) credential from the Project Management Institute in June of 2016. Currently John serves as a Vice-President of Axis Geospatial SE, located in Ormond Beach, FL. He also serves as a Project Manager for several statewide projects including North Carolina, New York and Michigan. He is a member of the Maryland State Geographic Information Committee. John earned a Bachelor of Science degree in Environmental Resource Management from Allegheny College in Meadville, PA and a Master of Science degree in Geography and Regional Planning from Indiana University of Pennsylvania in Indiana, PA.